Available Seat: Contact us ! Request a quotation now ! Will you be visiting Holland in spring? 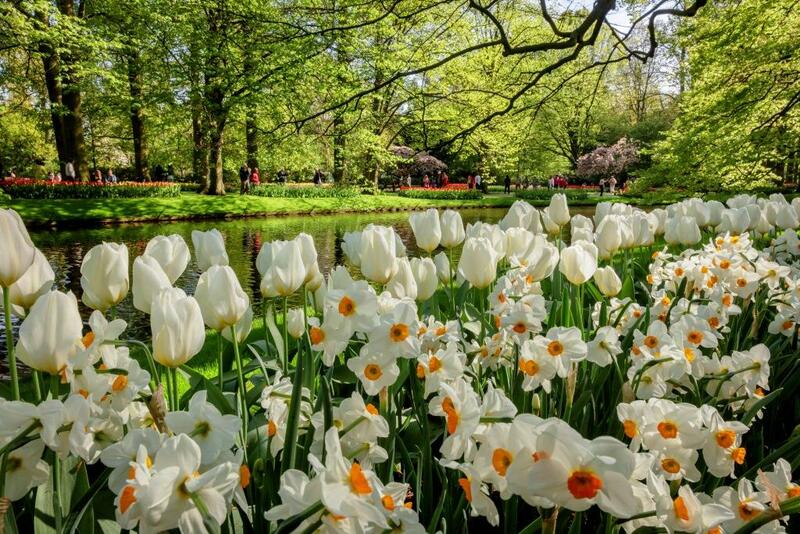 Then be sure to visit Keukenhof, where you will experience the gorgeous views of blooming Dutch tulips and other flowers for which Holland is famous. Keukenhof is the most famous and largest flower park in the world and lies not far from Amsterdam. There are more than 7 million bulbs in bloom this spring, with a total of 800 varieties of tulips. An unique and unforgettable experience! Besides the spacious 32 hectares of flowers you can enjoy the spectacular flower shows, surprising inspirational gardens, unique artwork and wonderful events. Do not miss the Tulpomania exhibition in the Juliana Pavilion. The annual Flower Parade is the biggest flower-related event in the Bulb Region or ‘Bollenstreek’. The parade of dozens of floats traces a colourful ribbon from Noordwijk to Haarlem. The floats are made up with thousands of flowers to resemble the most beautiful creations. After arriving in Haarlem they are displayed on the Grote Markt for another day so visitors can view them up close. Visit also the Zaanse Schans. In this region, you will see authentic houses, windmills, a tinware factory, a cheese and dairy factory and other crafts. Both inside and out, the old Zaan style is visible. During the 17th century, more than 600 windmills were constructed in the area around the Zaanse Schans, creating the first industrial zone. The windmills were used, among others, to grind spices, produce paint, saw wood, and make oil. A number of these windmills still exist and can still be visited today. You can see how these wind-powered machines work, inside and out.